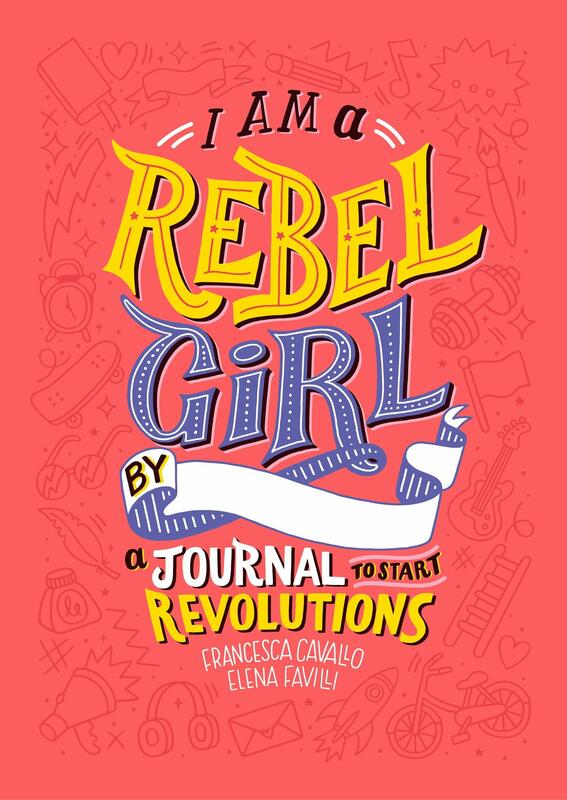 From the creators of the sensational book series Good Night Stories for Rebel Girls, comes an exciting new title: I Am a Rebel Girl: A Journal to Start Revolutions. Designed for girls of all ages looking to explore and train their rebel spirit, I Am a Rebel Girl is filled with activities that challenge perspective, induce thought, and prompt action. Write love notes to your favorite body parts, draw yourself climbing a mountain, write a letter to an elected representative and interact with the beautiful, original artwork developed by the female artists who illustrated the iconic Rebel Girls books. I Am a Rebel Girl is the perfect companion to the book series. It is an action plan that creates space for BIG ideas and it helps girls develop the tools they need to lead the revolution of our time. With a stunning cover that begs to be personalized, interiors in 100 lbs soft paper, fun stickers and an extraordinary print quality, I Am a Rebel Girl is a captivating object, sure to excite the millions of fans Rebel Girls has gained all around the world and to open up the Rebel Girls' universe to new audiences. With original artwork by the female artists who illustrated the iconic Good Night Stories for Rebel Girls books, I Am a Rebel Girl will help all the rebel girls in your life embrace their own potential with joy and determination and become agents of change.